Since people react to stress, differently, learning how to cope with stress varies as well. It depends a lot on your life circumstances you are experiencing and your own unique personality style. At this site we offer various stress management tips. 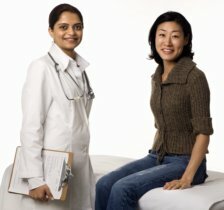 When learning coping skills, start by identifying the causes and then determine which stress management and stress relief techniques offer the best results for you. Here is what we mean. We like to start the stress-reducing process with journal writing. Keeping a journal allows you to keep track of patterns in your daily life and document what might be causing stress. This technique helps you identify what is causing your stress. If you want to learn more tips for keeping a journal, click here. By keeping a journal you can record your daily activities, events, and responsibilities. You can list the things that you find troubling or worrisome. Can you find patterns in your life when stress occurs? Does this give you insights about how to cope with stress as it develops? When learning how to cope with stress, most individuals find specific strategies that work best, depending on the emotions they are experiencing and the situations in their lives they are trying to handle. Coping strategies work best when you notice how your body is reacting to stress. Then you can design strategies that relieve the symptoms you are experiencing. Mom had some great suggestions that I share here. Choose your clothes the night before. Always have a plan "B". Boost Your Time Management Skills! Pet a friendly dog and/or a cat. Add some humor to your life, so that you don't dwell on all the bumps along your life path. We suggest you pick up a copy of this book, Add some humor to your life, so that you don't dwell on all the bumps along your life path. We suggest you pick up a copy of this book which containesAdd some humor to your life, so that you don't dwell on all the bumps along your life path. We suggest you pick up a copy of this book which containes The Big Book of Stress Relief Games: Quick, Fun Activities for Feeling Better which helps you lower your stress levels as you improve your outlook on life. Our Great Dane, Beretta, taught us how to cope with stress when he was in dog obedience training. In his article, Beretta offers 5 tips that he learned about handling stress. Even when you are under pressure like he was training to pass his Canine Good Citizen test. From that situation we learned how to cope with stress by noticing how to better handle our emotions and lower our anxieties. Letting external situations get the best of us can lead to unhealthy behaviours. Over eating is one such negative result. Learning how to worry less and feel more in control helps us maintain a healthy lifestyle and lower the negative effects of stress. 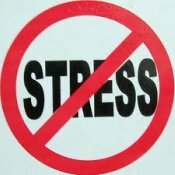 Another website that you can visit for additional stress management strategies is ourstressfullives.com. A great resource with more stress management tips.